African fashion brand KISUA specializes in showcasing the continent’s brightest design talent to the rest of the world, creating exclusive capsule collections in collaboration with African designers. KISUA is the only African fashion company with distribution centers across three continents to serve customers in Africa, America and Europe. Inspired by the sights, sounds and tastes of Africa, KISUA blend traditional techniques and materials with a contemporary design aesthetics. The name KISU means a ‘well dressed person’ in Swahili. KISUA’s aim is to provide a sustainable platform for African designers, so they can gain access the international market. They fund designer collaborations through the KISUA Designer Fund, and provide financial support by paying a portion of every sale directly to the designer. Establishing large-scale manufacturing capabilities have helped them overcome infrastructural hurdles, and ensure the seamless delivery of African fashion to the world. The majority of KISUA’s sourcing and production takes place in Africa, and they are passionate about doing business in an ethical and responsible way. KISUA implement strict sourcing standards to ensure good working conditions for their workers and partners. Fabrics are predominately sourced form African suppliers, who are paid fairly and honestly. Paying special attention to their social impact, KISUA support and nurture local businesses and communities. Inspired by the strength and spirit of African women everywhere, KISUA work hard to create economic opportunities for women through their supply chain. Founder Sam Mensah Jr comes from a background in banking and financial analysis., as well as being an advisor to the African Union. With a belief that Africa could offer the world a fresh perspective on style, Mensah built this international ecommerce platform to support African fashion reach global customers and to create opportunities for African designers. KISUA has gone on to gain the trust and support of renowned Savile Row tailor Ozwald Boateng, the founder of Lagos Fashion and Design Week, Omoyemi Akerele, as well as being a personal favorite of Beyonce and her sister, Solange. IMAGES COURTESY OF KISUA. SOLANGE AS SEEN IN HARPERS BAZAAR. 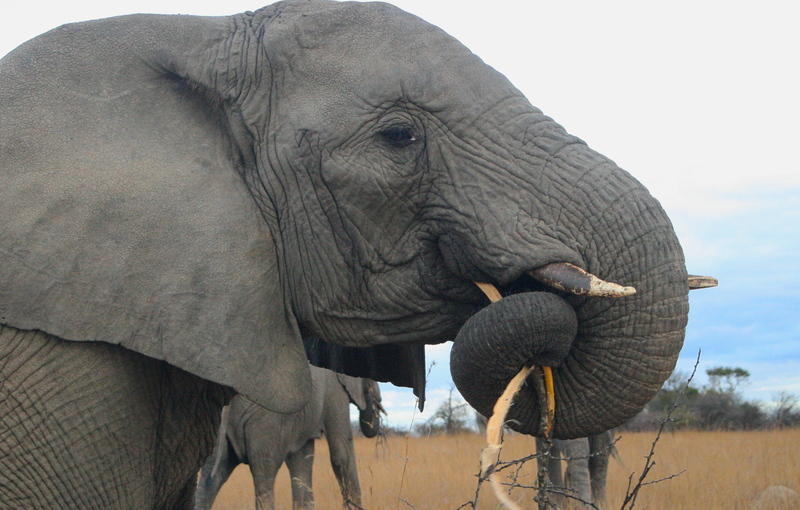 SHOULD WE LEGALIZE THE IVORY TRADE? Earlier this year on the eve of Prince William’s royal visit to China, the Chinese State Administration of Forestry declared a one-year ban on the trade of carved ivory products. Yet I cannot help but feel that the move played by the Chinese government to impose this ban is a half-hearted nod towards appeasing the second in line to the British throne. After all, Prince William has long been an advocator for banning the ivory trade: he is the royal patron of TUSK, an organisation dedicated to initiating and funding conservation programmes throughout Africa. According to data collected by National Geographic, the amount of illegal ivory goods seized from China over the past twenty years were the highest of all Asian countries-–more than double that of Thailand, ranked in second place. So what will a mere yearlong ban in the Chinese market really accomplish? I wonder whether, in a country where ivory is already a sought-after commodity, this ruling may result in a surge in demand when the ban is lifted in a few short months. Coming from a zoology background, and having spent many months working and volunteering abroad on various conservation projects, I have spoken with people from all backgrounds about this topic. What surprised me in the beginning was how many of these avid animal lovers suggested that ivory trade be made totally legal. Much of the obsession over ivory, and the products crafted from it, stem from the sheer novelty value. A comparison may be made to the forbidden fruit of Eden–people desire what they cannot and should not have. Owning ivory is a status symbol for many in China, and as such there is a huge demand for ivory products in the country. The New York Times wrote that 70 per cent of the world’s illegal ivory makes its way to China, and for those who are willing and able to pay, it is easy to come by–the country is known for its incredibly lax ivory import controls. In a leaked report by the Environmental Investigation Agency (EIA), it was shown that the country could not account for 121 tons of ivory–that is the equivalent of tusks from 11,000 elephants. The procedure of organising the illegal poaching, killing, and mutilating of these animals is a risky one. The subsequent packaging and smuggling of the goods out of one country and into another requires skill. The cogs in this mill are fuelled by money and greed, and by the time the ivory reaches its destination it is accompanied by a bloodthirsty tale. A kilogram of illegal ivory now reaches more than $1,600 in China, a price that has tripled in three years alongside an increase in affluent Chinese middle-class citizens who desire exotic trophies. If suddenly everyone and anyone could legally purchase a product made from ivory, than the novelty and status may dwindle. No longer would owning an ivory chess set impress dinner guests, and perhaps people may ponder to spend their savings on some other equally shiny object. This forbidden fruit effect has been seen before. When cigarette smoking was prohibited in a few states back in the 1890s, it was found that cigarette usage declined for the first few years, but then steadily increased afterwards, despite the ban. Rather now warnings are given against the perils of smoking, and the country has seen a decline since 1965. If potential buyers and traders were warned of the effects of poaching, perhaps demand in the ivory trade would dwindle too. The WWF believe that over 100,000 elephants were killed for their ivory tusks in the past three years alone. Populations of African elephants are estimated at 700,000 on a good day and as little as 400,000 on a bad one. Going with a conservative guess, we may be without these magnificent animals in twenty years. Whatever the future of ivory trading–whether it be its legalisation, or more stringent regulations set in place for its trade–it is clear that the role that China plays will be crucial. Today, August 10th is Internationally recognized as World Lion Day—a global campaign created to spread awareness and appreciation for the great beast whose history has intertwined with that of mankind for thousands of years. Last year I spent this day in Zimbabwe, volunteering at a charity volleyball game to raise money for the conservation efforts which had drawn me across the planet. I was interning with ALERT (the African Lion Environmental Research Trust), doing behavioral research on a lion pride for the greater purpose of replenishing Africa’s wild lion population—which has dropped from 200,000 to an estimated low of 32,000 over the last 40 years. For many World Lion Day has come and passed without knowledge or recognition, but I have hope that this year will be different. With the recent media frenzy over the killing of Cecil the lion, the species’ plight is finally in the public spotlight. While what happened to Cecil is undeniably tragic, it is not an isolated incident, nor is it a situation reserved for the African lion. Cecil’s fate is one shared by many other beasts, and even our fellow man. While the world mourns the loss of this august creature, I hope his death can be recognized as a metaphor, not just for the state of his species, but for the troubled state of his African homeland. From the sands of the Colosseum, to the receiving end of a bullet, lions and humans continue to share their fates—a tradition of bloodshed that can not be sustained. If we do not act now, the lion may very well be yet another creature left to the imaginations of our future generations. So don’t let this World Lion Day pass without notice. Spread, share, tweet, and post—let the internet roar with awareness. 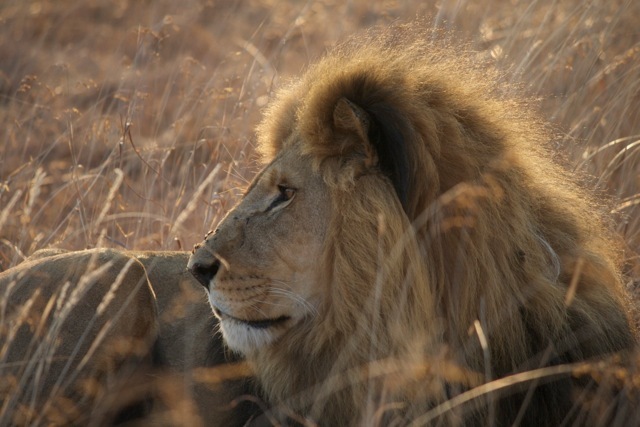 Learn more about what you can do to help the lion at worldlionday.com. For more information on the restorative efforts of ALERT, go to lionalert.org.